A work from the ant’s perspective is Caryl Churchill’s radio play The Ants. Originally, the ants bring the political aspect into the play. In this audio piece, this implication is taken seriously and the ants are given a “political” voice from the non-human back to the human. The Ants is Churchill’s first professional audio piece, broadcoast on BBC in 1962. It is about young Tim, who is affected by his parents’ domestic war. He finds consolation in witnessing an ant colony. He singles out one ant he calls “Bill,” which he is especially empathetic towards. In the course of the play, Tim reacts to his vulnerability with increasing aggression. In the end, agitated by his grandfater, he pours petrol on the ant colony and sets it on fire. Tim utters an eerie laughter when the colony explodes. Animals are “good to think with” (Lévi-Strauss), but often only discussed in a symbolic way without taking real-life entanglement into account. Starting with Aristotle, the ant colony has been a strong metaphor in political theory. The metaphor of the ant colony has been one of human order and hierarchy. But this metaphor is flawed. It is not a hierarchical system, but rather rhizomatic; “the queen does not rule.”  The colony itself can be understood as a “superorganism,”  comparable to the human body. One human cell by itself is quite simple und “stupid”, but put them all together and you have a complex system which makes your body. So, ants don’t serve as a metaphor for the social and the political for nothing: They are the superorganism, the social and the rhizome. But on the other side, they are real living beings. 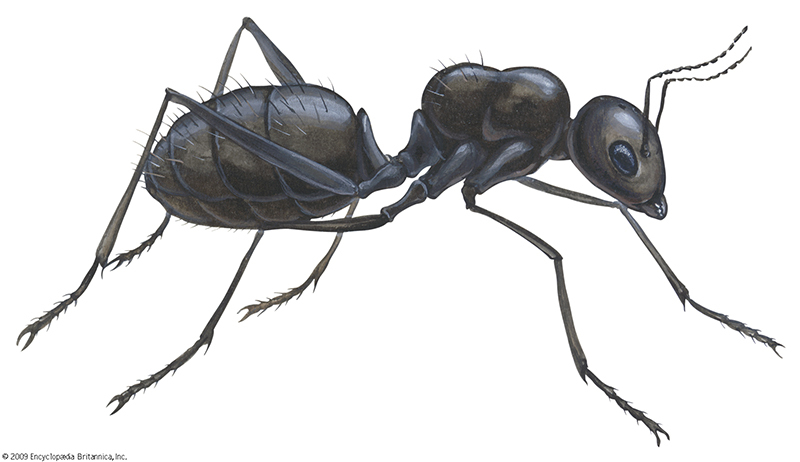 In terms of their global population’s total mass, ants are second only to humans. In my artistic work, I explore the following question: What would happen if the ant colony was able to communicate its perspective on Churchill’s play? What if it was to function not only on the symbolic level, but as real, “worldly” (Donna Haraway) companions? How would they respond? Since ants mostly communicate through pheromone and short touches of each other (tactile communication), so obviously my artistic work can be only a speculative interpretation – how could the ants respond from a collective and social perspective? The sound piece is a collage of (1) texts written by myself, Churchill, ant specialists, the internet and other legacies of “absurdism” and (2) sounds (“ant” sounds, sounds from the original play). Katharina Swoboda, born 1984, Graz, AT. Lives and works between Hamburg, Vienna and Graz. Katharina’s work is predominantly video-based but she works in photography, installation art and performance art as well. She graduated from the Academy of Fine Arts in Vienna, and has been a PhD student at the transdiciplinary doctorate programme at University of Fine Arts of Hamburg since 2014. Katharina’s videos have been internationally shown in selected venues in Vienna, Houston, Panamá, London, Budapest and Hamburg. She has received several scholarships, e.g from the Austrian Federal Ministry for Arts and Culture, and has participated in the KAMOV City of Rijeka residency in Croatia and the Nida Art Colony in Lithuania. She is member of the Golden Pixel Cooperative in Vienna. Recent exhibitions include: 2017 Media Art Biennale Wro, Wroclaw, PL; 2017 The Frame that blinds us, APA Gallery Budapest, HU; 2017 BJCEM Young Artist Biennale. Tirana, AL; 2017 (Im)Personal, Manhatten Bridge, NYC; 2017 Black Quarry, Corner College Zürich, CH; 2017 Motel Trogir, Vladimir Nazor Gallery, Zagreb, HR.